Akshay Kumar known for his work on notable social causes, including his new film Toilet: Ek Prem Katha, extended his support for the Festival of Education, a first of its kind event in South Asia, incepted by the Government of Rajasthan in partnership with GEMS Education, to celebrate the future of education in India. An unprecedented event, the festival saw over 1,00,000 global innovators, academicians, faculty, change-makers, vice chancellors, educationalists, teachers, students, parents, scientists, and policy makers under one roof, united by the same goal – to give shape to the future of education through discourse, discussion and debate. 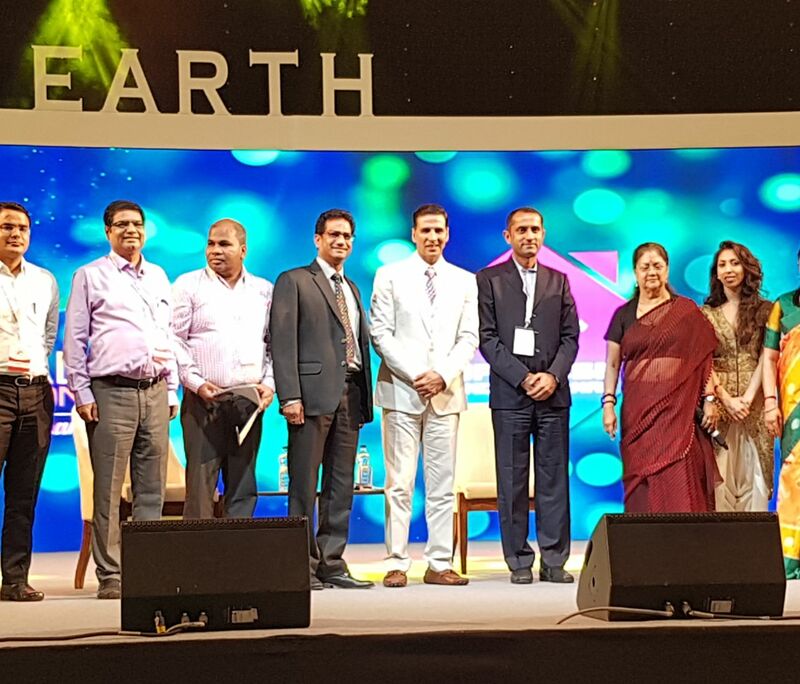 Akshay Kumar participated in a panel session where he conversed with Amreesh Chandra, Group President, GEMS Education, India. Akshay Kumar addressed various questions touching upon the subject of socially conscious film making, including his decision to embrace the worlds first feature film on open-defecation Toilet: Ek Prem Katha. 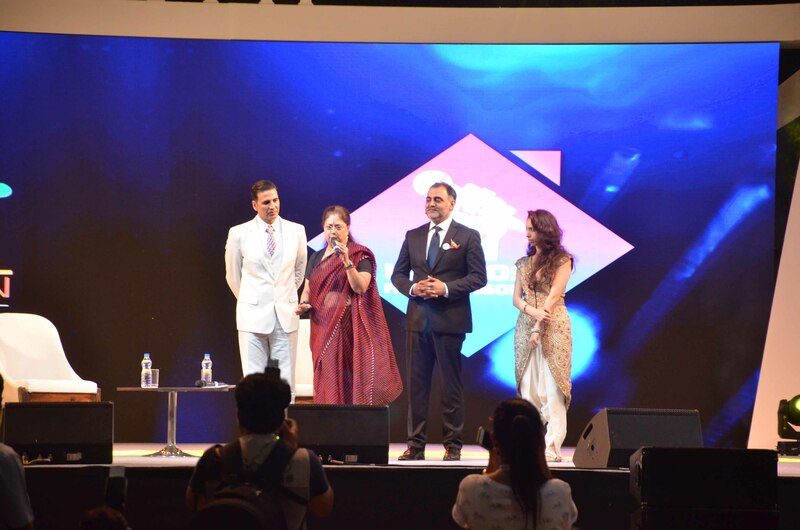 During the panel discussion Akshay Kumar was praised by Right Honourable Chief Minister of Rajasthan, Ms Vasundra Raje, for his revolutionary efforts to bring awareness to the taboo subjects such as the open-defecation crisis in India. The Festival of Education entertained and inspired in equal measure and was divided into three experience zones which included Fundamental to capture high-level, thought-leadership panel discussions led by international stalwarts in the field of education and policy and game changers who play a fundamental role in shaping the future of the youth and in turn the future of India; Elemental, themed around Earth, Water, Wind, Fire and Aether to feature conversations by high-profile personalities from all walks of life, derived from these elements, to encapsulate a holistic learning; and Experimental, a special curated zone where governments exhibit technology that will drive the future of education. Other Indian respected personalities who participated in the Festival of Education included legendary actress Shabana Azmi, former Miss Universe and actress Sushmita Sen (Main Hoon Na), award winning actress Divya Datta (Special 26, Bhaag Milkha Bhaag), musician Shankar Mahadevan (Founder, Shankar Mahadevan Academy), and fashion designer JJ Valaya (House of Valaya). The worlds of food, nutrition and health will also be represented at the Festival of Education, with the attendance of chef Manish Mehrotra (Indian Accent), Masterchef India 4 Finalist Karishma Sakhrani (Culinary Genius), nutritionist and author Pooja Makhija (Eat Delete) and Himalayan yoga guru Bharat Thakur (Chairman & Founder, Bharat Thakur Artistic Yoga). His Highness Sheikh Nahayan Mabarak Al Nahayan, Minister of Culture and Knowledge Development, UAE was the Chief Guest at Festival of Education. Other high profile attendees included Union HRD Minister Shri Prakash Javdekar, Member of UK’s House of Lords and Deputy Chair of British Council Baroness Usha Prasar, Higher and Technical Education Minister Smt. Kiran Maheshwari, Minister of State for School Education Shri Vasudeo Devnani, Members of State Cabinet, MPs, MLAs, Chief Secretary Shri Ashok Jain, Founder of Gems Education Shri Sunny Varkey, Vice Chancellors of several universities, educationists, researchers, students and senior officers of the state government. Toilet Ek Prem Katha is set to release on August 11th. 16 queries in 1.354 seconds.